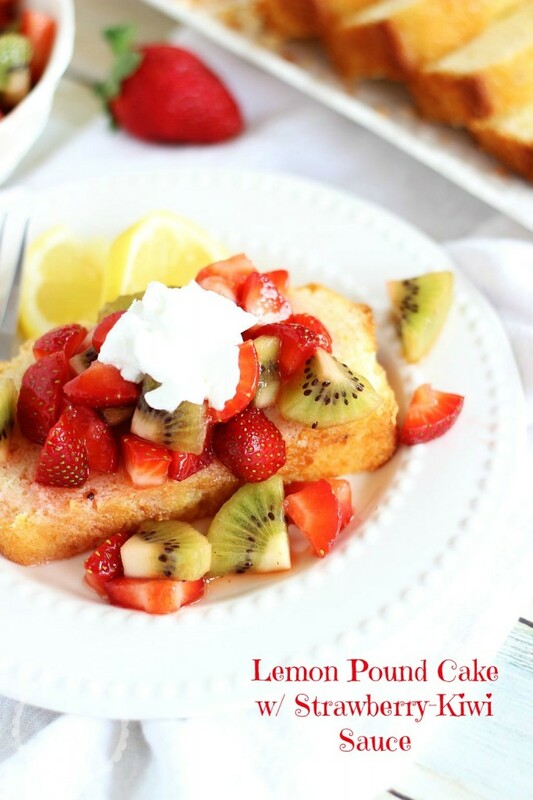 Tangy and sweet lemon pound cake topped with fresh strawberry-kiwi sauce! 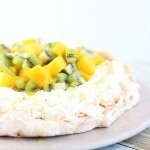 A bright and cheery fruit dessert for spring! I should dedicate a week (or two) entirely to citrus recipes. I have so many lemon, key lime, and orange recipes coming up, it is not even funny. It will be awesome though. The refrigerator was exploding with citrus fruit for a few weeks (still kinda is), and I can’t even begin to count how many pieces of citrus fruit that we ate. And that I zested. Zest EVERYWHERE. But here in Florida, it’s the land of citrus. I just met someone yesterday who was talking to me all about his family’s citrus farm in the central region of the state. It’s not an uncommon story to hear in these parts. Doesn’t a citrus farm sound lovely? Long-term goal, perhaps. I feel like I will not get my S.O. on board with this idea though. We shall see. I loooove lemon everything. Until Starbucks recently changed their baked goods, their lemon pound cake with lemon glaze was one of my favorite indulgences on the planet. It was so moist, and had the perfect amount of lemon flavor, the perfect balance of sweet and sour, and tons of glaze slathered on top. 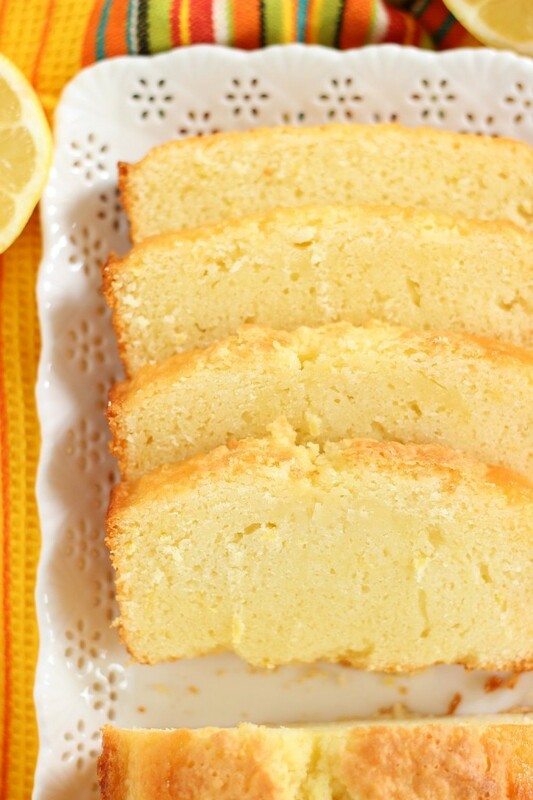 The new reformulation of that lemon pound cake is NOT the same though. I also still dream about the most perfect lemon cookie in the world. When I lived in San Francisco, the best lemon cookie I ever had was from a small cafe downtown, called Caffe Amici. Tragically, that cafe is now closed!! Such a shame because they served a pretty kickass latte too! But the lemon cookie… it was the BEST I’d ever had. I’ve never recreated or found one as good, but the search goes on. It was just perfect in every way. 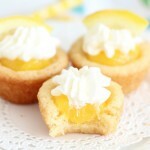 So, those are a few examples of my life-long love affair with lemon desserts. Of course, I also have to mention my Grandma’s Lemon Bars. She’s been making those for as long as I can remember. When I make them, the only thing I ever change is to make extra filling. More is always better. You can find the recipe and read more about those here. In short, they are very well-loved. Now, this pound cake. 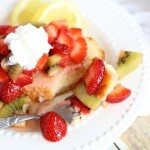 If there is ever a dessert that exudes springtime, it’s this Lemon Poundcake with Strawberry-Kiwi Sauce. All the bright and vibrant fruity flavors are a like a big welcome party for spring. 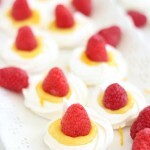 Fresh and cheery, this is a fabulous dessert for ushering in a new season, and impending sunshine (hopefully). 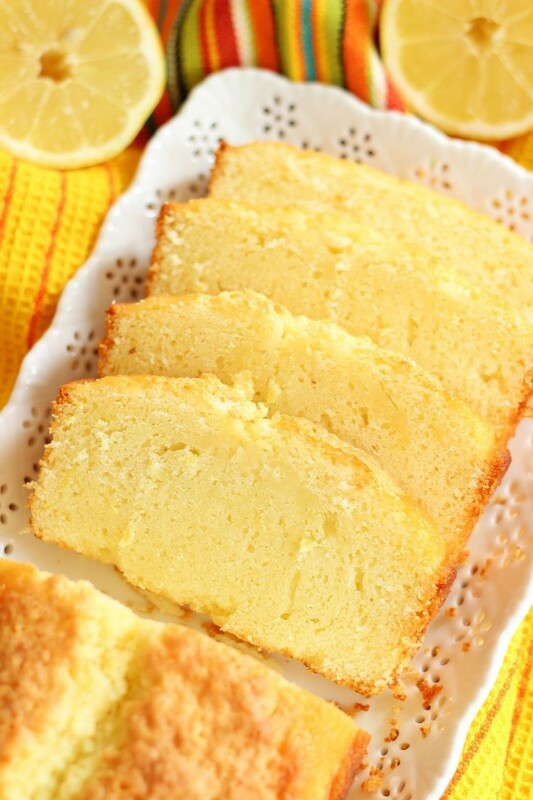 The pound cake is buttery, moist, and dense, with lots of intense lemon flavor from fresh lemon juice and lemon zest! The lemon flavor is not sour and won’t make you pucker, but it’s intensely lemony, in a good way. Strong lemony zip, but the right balance of sweetness and tart! My heart was set on lemon, and my heart was also set on something strawberry-kiwi. Soooo, I put them together. I love how lemon complements berries, and I love strawberries with kiwi (uh, who doesn’t? ), and my theory was that they would all then go together really beautifully. And they DO. As you might imagine, this doesn’t always pan out. Thankfully, in this case, it did. The punch of lemon with sweetened strawberries and kiwi is incredible! The flavors were unexpected, but went together perfectly! I already can’t wait to make it again. Happy Spring! 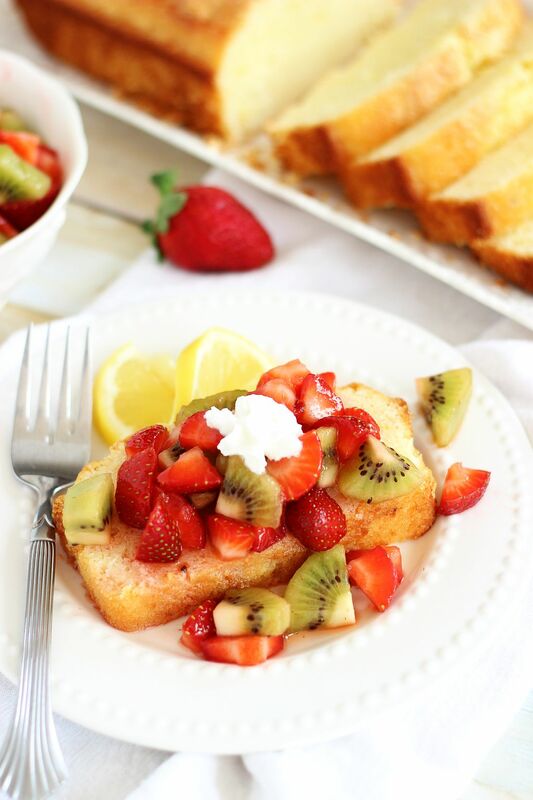 Tangy lemon pound cake topped with fresh strawberry-kiwi sauce! In a large bowl, combine fruit and sugar. Toss to mix with the sugar. Set aside to macerate. In a large mixing bowl, combine sugar and lemon zest. Add lemon juice, eggs, and extracts, beating until well-blended. Bake at 350 degrees for 15 minutes, then reduce oven temperature to 325 degrees, and continue baking for about 35 minutes, or until the top is golden brown and a toothpick inserted near the center comes out clean. To serve, slice cake into 8 pieces, and top with Strawberry-Kiwi Sauce. Pound cake recipe only adapted from Cook’s Illustrated. That looks like spring! I love citrus stuff, it’s always what I want when spring is coming. I’ve been making lemon everything too! So good! Love the strawberry kiwi sauce, that sounds delicious. I am definitely feeling the spring vibes!! I love citrus and lemon anything is my absolutely favorite too! 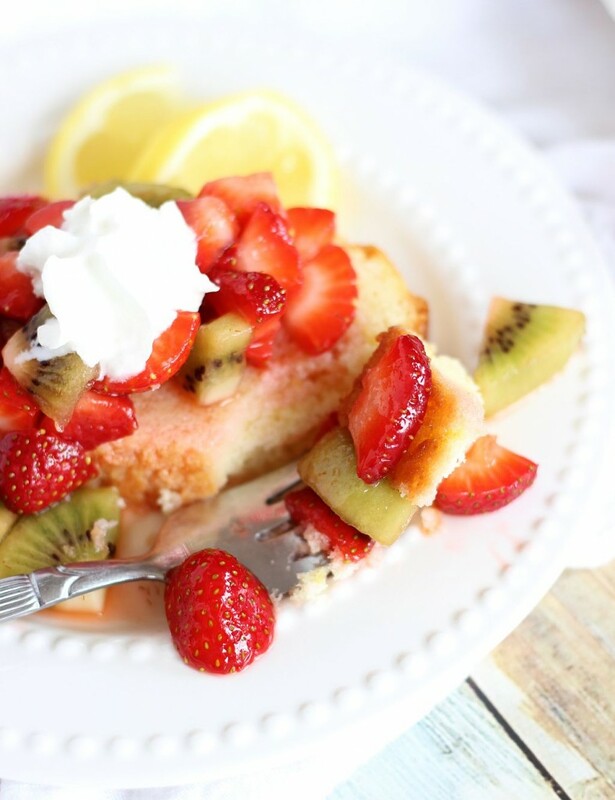 This pound cake looks incredible, Sarah! And I could just eat that strawberry-kiwi sauce by the spoonful! Yum! This cake is so perfect for spring. All this fruity goodness makes me so happy! Me too! I’m loving all things spring and bright and fruity right now! Thanks so much, Jen! Thanks, Manali! I just got so carried away with citrus and have a TON forthcoming. Haha! Hope you’re having a great weekend! Wow! 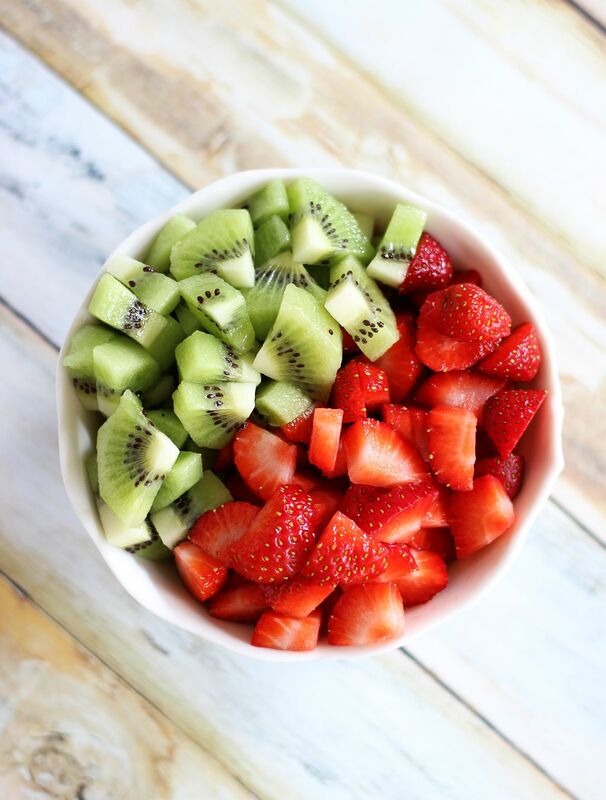 I love strawberries and kiwi. 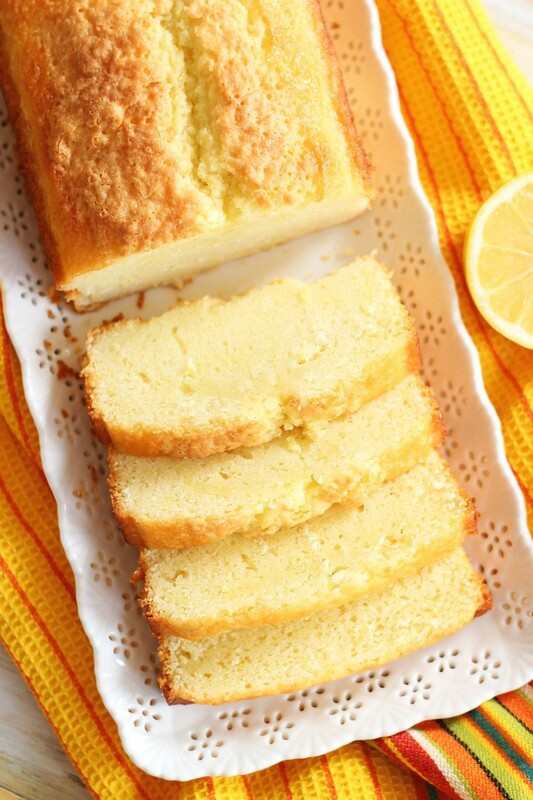 I’ve never made a pound cake, but I think it’s worth it for this dessert! It’s sooooo worth it! Pound cakes are so rich and dense and wonderful. Easy too! Thank you so much! We loved it. It’s such a fabulous combo of flavors! 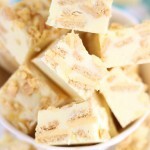 This sounds so refreshing for a summer BBQ dessert! My BBQ this summer are going to rock with this as my dessert! Thanks for sharing the recipe. OH and I secretly dream about quitting my life in suburbs and farm instead! I’m SO with you on that, Gina! I had summer BBQs on my mind when I was making this! 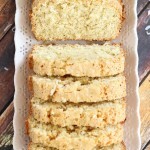 It just seemed so fresh and simple and perfect for picnics and enjoying meals outdoors! YES, to a farm life. I cannot get my S.O. on board with it…. yet. Sounds so summery and delicious! Thanks for sharing on Found & Foraged! Thanks so much for the party, Kyla! My mouth is just watering this looks SO good! It’s delicious! I wish I still had some left!!! 🙂 Thanks, Carrie! 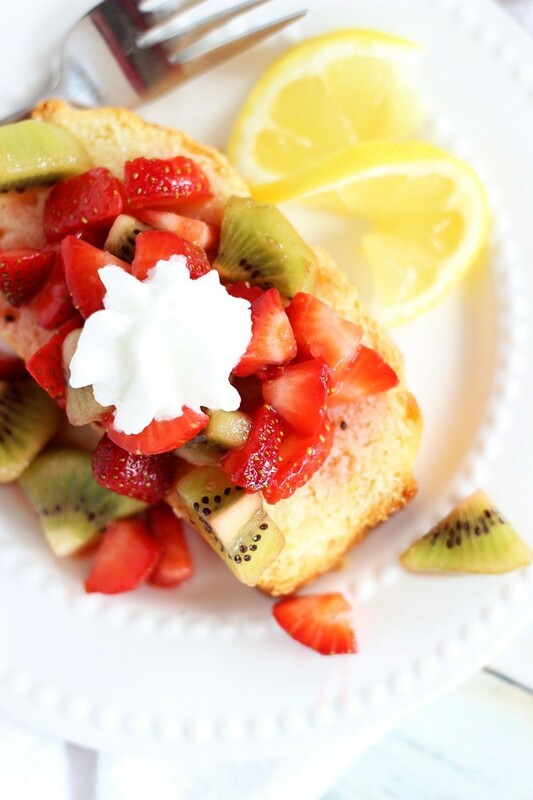 Fresh fruit, lemon pound cake – YUM! Thank you for sharing on Weekend Bites, you’ve been featured!